The IZT R3302 RF sensor is a portable receiver with built-in sensor controller for running software applications and storing signal data. 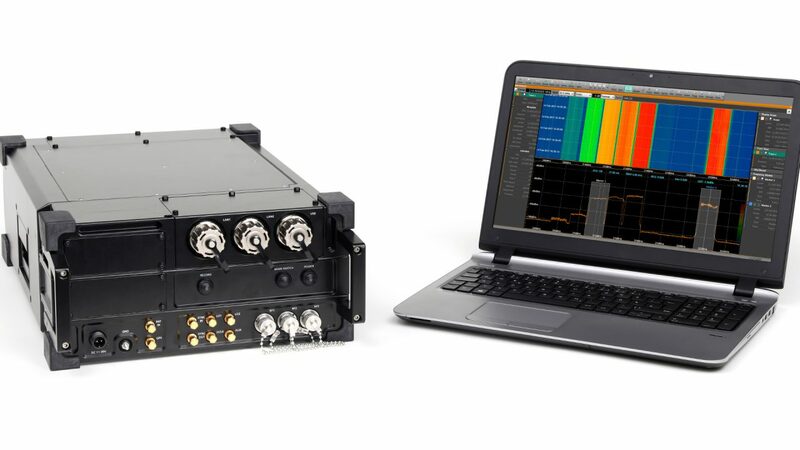 It is optimized for recording RF signals in mobile and portable applications. The outstanding RF performance and signal processing matches the professional IZT R3000 receiver series. The IZT R3302 is the more ruggedized, displayless variant of the IZT R3301 RF Recorder. Like the IZT R3301 it comes with a built-in sensor controller with integrated data storage, a wide range DC supply with UPS and a built-in GPS module. Offering the same RF performance as the IZT R3301 the IZT R3302 is further optimized for the usage in rough mobile environments. The frequency range is scalable from 9 kHz to 18 GHz and its real-time bandwidth is supporting continuous I/Q recording of up to 25 MHz. The system is designed to produce good signal quality under challenging dynamic range conditions and has successfully passed many rigorous technical evaluations.